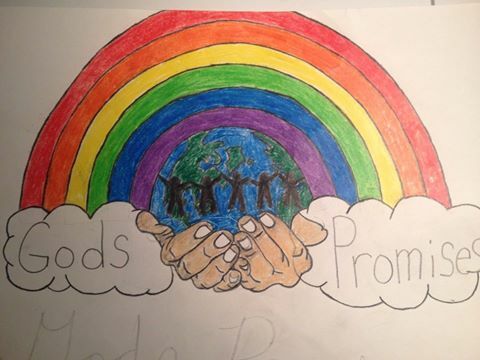 God's Promises is a non-profit mission organization that began with the adoption of a 3 year old boy from Guatemala. His family fell in love with not only him, but his country as well. From 2006 to the present this organization has grown into people from all over the USA meeting to help different orphanages, villages and families in Guatemala. We presently are involved with 3 orphanages, help with sponsor programs, assist with VISA issues, and are often called on for individual specific needs for Guatemalan families for which there are no programs available. * The City of Children pays more than 14,000Q a month for the electric bill - that's about $1,866 a month!! Why Sponsor? Adoption is closed in Guatemala right now. Also, once a child turns 16 in an orphanage they are considered "aged out" and too old for adoption. Kids at 16 are certainly NOT old enough to take care of themselves, and that is part of the problem in Guatemala. They are left on their own at a young age and continue the cycle of starting families that they are unable to care for. That is one of the good things about The City of Children orphanage, even though these kids cannot be adopted after 16, they can remain at the orphanage and continue their education or learn a trade or simply decide to work at the orphanage and help take care of the new children that come in each day. They have options that kids from the "street" do not. Plus, they get a roof over their head and protection from the gangs, and free meals. That is why we try to get sponsors. The orphanage is strictly DONATION funded. The government does not give them a penny. There is no "welfare system" in Guatemala. Without sponsors . . . there would be no orphanage.